Sound Transit made its initial buy over a year ago of properties needed for the Lynnwood Link light rail route. Owners and tenants have been relocated and the houses stand vacant. At the upcoming Sound Transit capital committee meeting on April 12, the committee will take a vote to approve a contract with the Dickson Company for the early demolition of buildings for the Lynnwood Link Extension. 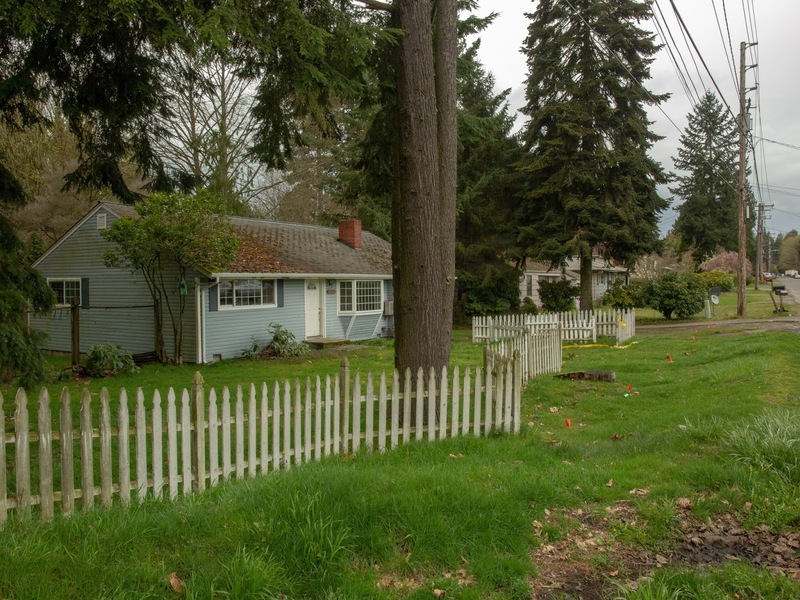 Sound Transit-owned properties along the Lynnwood Link Extension alignment include vacant residential and commercial buildings. Demolishing these buildings prior to the start of follow-on construction contracts will minimize risk of arson, vandalism, and crime to the surrounding community. The Lynnwood Link Extension elevated guideway conflicts with existing 115kV aerial transmission lines in four locations: NE 123rd Street in Seattle and NE 180th Street, NE 185th Street, and NE 200th Street in the City of Shoreline. They will also vote to award a contract for new steel poles needed to relocate existing transmission lines at these locations. The line work will be done by Seattle City Light. Living in this neighborhood I'm pleased to hear these homes will soon come down for the aforementioned reasons.